For maximum shade strength, choose a Picnic Shelter shade unit. The roofs are made from steel, and they’re 100% waterproof. These designs of shade are more akin to a picnic shelter, but they can be used for just about any purpose. They’re available in many designs, including 4-post models, umbrella models, and gable end units (think a classic “V”-shaped roof). 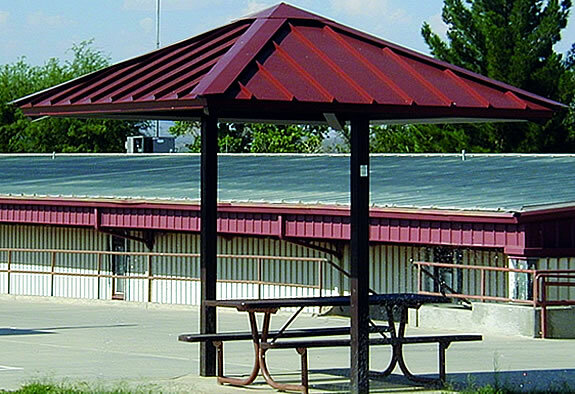 More information is available on our website Picnic Shelters USA. • they’re stronger than shade units with fabric canopies. Hardtop shades are rated for snow loads, whereas our fabric canopies are not. So, you don’t have to remove the shade canopy if the weather forecast calls for snow, ice, or very strong winds. SRP manufactures these hard top shades. 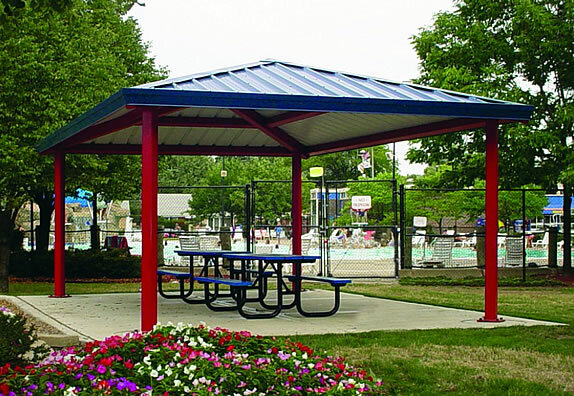 In addition to selling a full range of picnic shelters nationwide, we also install them throughout Maryland, Northern Virginia and Washington DC. Our experienced team does professional work and we offer superior customer service throughout the process. 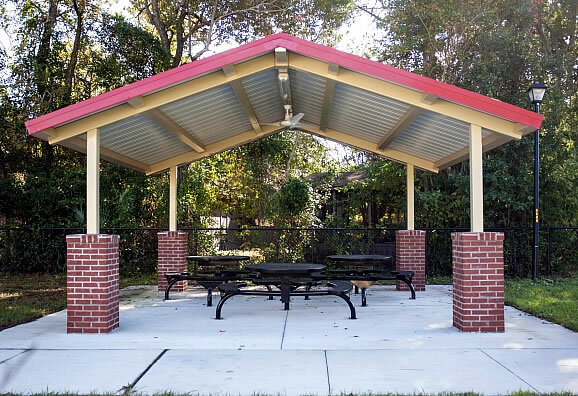 If you are interested in getting a picnic shelter for your school, playground, business or public entity, call us today at 877-840-0707 to get a custom quote.